Claiming that senior BJP leaders L K Advani, M M Joshi and union minister Uma Bharti are “innocent” in the Babri Masjid demolition case Union Minister for Law and Justice Ravi Shankar Prasad said it is not a new case and now the Supreme Court has ordered for clubbing of two cases. The leaders will face trial in accordance with law. "We believe in the innocence of our important leaders, including Advani ji and Joshi ji. The case is not new and going on since 1993.Earlier, SC had said cases in two FIRs will go separately (in Lucknow and Rae Bareli) and now it said both will go together at Lucknow. They will face the trial in terms of process of law," Prasad said. On Thursday, the Supreme Court has restored the criminal conspiracy charges against Advani, Joshi, Bharti and others and transferred the Rae Bareli case to Lucknow while directing the trial court to frame charges in 4 weeks and complete the trial in two years. The court has allowed the CBI appeal challenging the Allahabad High Court order upholding the trial court’s order discharging the leaders from conspiracy charge on technical grounds. The court, however, noted that Rajasthan Governor Singh enjoys Constitutional immunity and can be tried only after he ceases to hold the office. Singh was the chief minister of Uttar Pradesh in 1992. In their candidature in the Presidential and Vice Presidential polls. While the term of President Pranab Mukherjee is coming to an end on July 24, the term of Vice President Hamid Ansari ends on August 10. 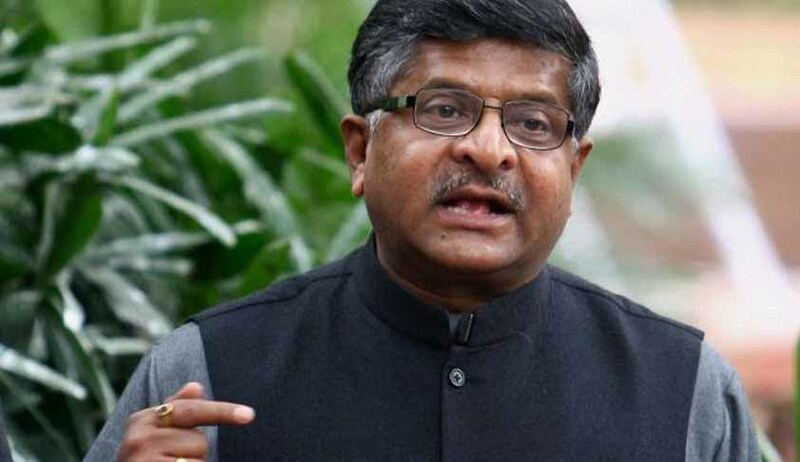 The Narendra Modi government is in support of the victims of triple talaq and the practice to divorce the wife in Muslim community, said Union Law Minister Ravi Shankar Prasad. He referred to the affidavit given to Supreme Court which is to take a final call on the issue and said the practice is making huge number of Indian Muslim women vulnerable which is against the Constitution. “Why should women in India stay in such a bad situation. We respect religion and faith but every pernicious practice cannot become integral to the faith. Can a Hindu say I will practice untouchability because it's there in my religion? No because it is unconstitutional,” he said. Our government is strongly in support of the women suffering due to triple talaq, the minister said.